A Vancouver Wine Festival dinner at the Terminal City Club, where we hosted 27 clients alongside 10 partners. The PCMA Canada West Canadian Innovation Conference, where Tourism Kelowna and other BC destinations sponsored a welcome breakfast for planners, which was held at the Royal BC Museum. 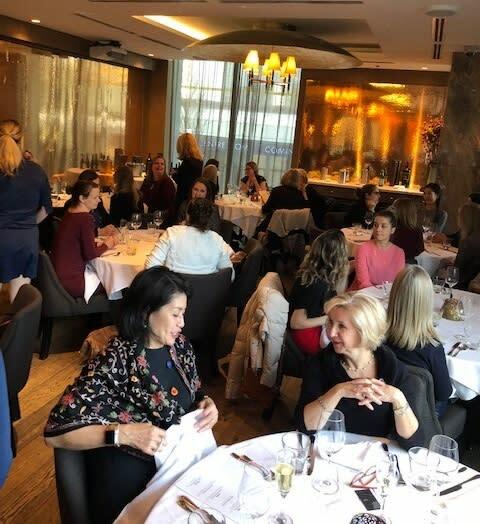 A third-party planner luncheon at Glowbal in Vancouver for 28 meeting planners who are clients of Vancouver-based Strategic Site Selection account managers, Jodi McCulloch and Tanya Faurot. The luncheon was sponsored and hosted in part by Tourism Kelowna. In addition to these events, Julia attended a Destinations International Learning Week in Seattle from November 11 to 16, where she completed the first course (of seven) towards the Professional in Destination Management designation; Julia was only Canadian in the course. For more information on Tourism Kelowna&apos;s business development activities in the Vancouver market, contact Julia Garner at julia@tourismkelowna.com or (250) 861-1515 ext. 217.